In the midst of sadness let us be joyful, in the midst of division let us show unity, in the midst of hate let us show love. In doing so, we are heaping burning coals on the heads of the enemy! It is an honour for CultureTree to be part of Westminster City Council’s inaugural #MyWestminster Day taking place on Sunday 18th June at Paddington Recreation Ground. The event marks the #GreatGetTogether, where neighbours get together as part of a national celebration of everything we have in common in memory of Jo Cox MP. Following Jo Cox’s horrific murder in June 2016 and the recent tragic attacks in Manchester, London and around the world by a group perpetuating hate and terror, #WeStandTogether! This event and many more planned across the city is a chance for us to showcase our diverse neighbourhoods, cultures & faith and what makes London such a vibrant city. It’s a chance for us to show that we stand for unity & peace! The event is free! There will be free food tasters from around the world, live entertainment & lots of free activities for the whole family. CultureTree will be providing entertainment on the Band Stand. We are so excited and looking forward to the event! Here’s a video of what you can expect from us on the day. At Pop Up Africa’s #AfricaatSpitalfields2017 event at Spitalfields market, Liverpool Street, London (Monday 29th May 2017). We are excited to announce that our interactive Yoruba parent and toddler playgroup, CultureTree Play Club, will begin from Saturday 10th June till Saturday 12th August 2017. It will take place every Saturday from 10:30am – 11:30am at Surrey Quays Shopping Centre. 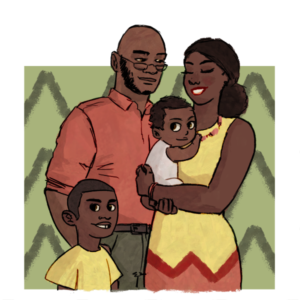 Your kids will learn Yoruba nursery rhymes and songs, have fun and make new friends. 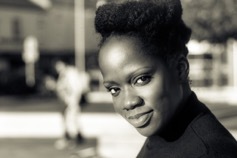 Ayo-Dele is an Actress, Singer, and Songwriter. Her theatre credits include: The Secret Lives of Baba Segi‘s Wives, Iyalode Of Eti, Mandela Project, The Gods Are Not To Blame, The Lion And The Jewel and many many more. Her debut album ’Forever Becoming’ explores identity and includes an eclectic mix of Yoruba and English songs. 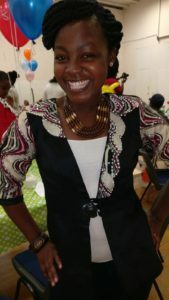 Ayo-Dele speaks Yoruba fluently and will be using her creative direction to teach kids Yoruba at CultureTree Play Club. 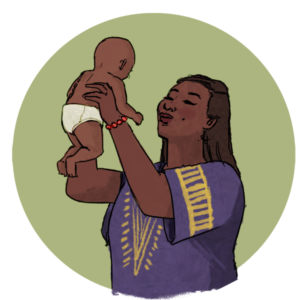 Aramide is a Mum of two who loves children. As a children’s party entertainer she is a natural performer with bundles of energy and enthusiasm. Her bubbly personality keeps kids happy and fully engaged. Aramide’s passion is singing and she will be doing a lot of this with the kids at CultureTree Play Club. Phoebe brings something special to the team. 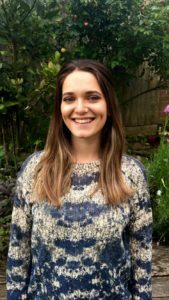 She is trained in British Sign Language (BSL) and has worked in various local schools teaching sign and deaf awareness. She will be using her signing skills to teach our kids & parents how to sign simple words and Yoruba songs at CultureTree Play Club! Gbemisola is a mum of two girls, 4 yrs old and 19 months old. 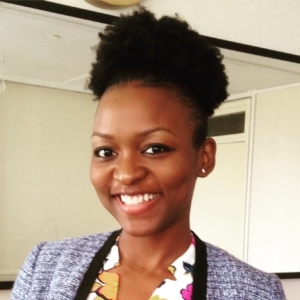 She loves Yoruba language and her passion is teaching kids to speak it fluently. You may recognise her voice on the CultureTreeTV Yoruba nursery rhymes and stories. Her goal is to build a network of parents who want to keep their roots & language alive no matter where they live in the world; and to make CultureTree a global brand! A while ago, I posted a video of me having a chat with my friend from Gambia who speaks 6 languages and is raising her children to be bilingual in Fula and English. You can watch the video here. Recently, I met up with Vlogger Bibiana Yetty. Bibiana is a wife and working mum of three (3 year old boy & girl twins and a 9 month old baby boy). She has a family and lifestyle channel on YouTube where she shares her day to day life, encouragement and journey of faith, marriage and motherhood with a young growing family. Bibiana was born in Nigeria but came to live in the U.K. when she was very young. Just like Anthony Oluwafemi Olaseni Joshua (Omo Yoruba & the world heavyweight champion), when asked if she speaks Yoruba, she responded ‘diye diye’, meaning ‘little little’. 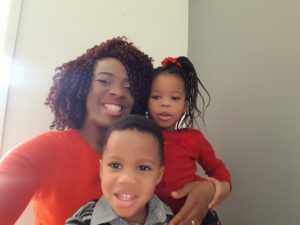 In our chat, we discussed her desire to teach her kids Yoruba, the challenges of being a non-speaker who would like to raise her children to be bilingual, the relevance of learning our mother tongue and much more. If you would like to join Bibiana and other parents who want to teach their kids Yoruba, then register for CultureTree Play Club. Perfect for children as young as 6 months up to 6 years old, we use nursery rhymes, stories, games and musical instruments to bring our multi-sensory sessions alive. “I would say the best thing is to become immersed in the language. Create an environment around you where you’re constantly hearing the language. Watch films in that language, go to the country, make friends with people who speak the language, talk to native speakers through Skype, listen to music in that language, do everything you can to be surrounded by it. Coincidentally, around that same time I was contacted by Richard Delamore who is currently developing an app that helps people find others nearby to speak any language with. He was very keen to get the Yoruba community involved with the app and after looking into it myself I am more than happy to tell you about it. I think it’s a great idea and will definitely help anyone who wants to learn any language, not just Yoruba. Check out my interview with Richard below. My name is Richard Delamore and I’m not a Yoruba speaker, however I do speak another little-known language, Esperanto. You’ve probably never heard of it – and no it’s not Spanish! It’s a difficult language to explain without diving into the details. In essence, it’s a century-old constructed language spoken by roughly two million people worldwide. Unlike other languages, Esperanto did not evolve to its current form over hundreds or thousands of years. Instead it was created in about 10 years, to be an international language. It’s now a living language, spoken by a large community of non-native speakers, as well as multiple generations of native speakers. Esperanto speakers are unique in a sense, as we don’t have a homeland. We’re scattered across the globe and this makes it quite difficult to find other speakers. Therefore, we’ve needed to become quite ingenious in developing ways to find our fellow speakers. Today, I wanted to share with you the newest method that’s all the rage in our community right now. I believe it’s something that Yoruba speakers will also love! The idea for Amikumu was born in the Esperanto community. The name itself means “hang out with friends” in Esperanto. Amikumu is an app currently in development for iOS and Android for release in July 2017. It will help you instantly find other Yoruba speakers nearby no matter where you are. The best part is that it’s completely free and simple to use. For example, if you’re a Yoruba speaker and living in an area where there aren’t many other Yoruba speakers, this can become a real issue, especially if you’re trying to raise your child as a Yoruba speaker! Amikumu intends to solve this issue by providing a quick and easy means to meet others. It will help connect those who want to learn Yoruba with native speakers of the language – a learner might be someone reconnecting with their roots or just a polyglot fascinated in learning another language. The possibilities are endless. You download the app and select Yoruba as the language you’re interested in. The app will then generate a list of other Yoruba speakers nearby. This list is constantly updated based on your GPS position, so no matter where you are in the world, it will always show you the nearest speakers. 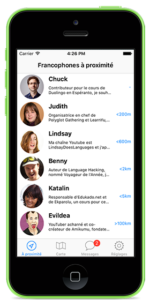 If you see someone interesting, just send them a message through the in-app interface. If all goes well, you can even share your current position with them to organise a quick meet-up. It’s that simple. Amikumu is already a massive success in several language communities and now we want to help the international Yoruba community. All that we ask is that you sign up to our mailing list at: https://www.amikumu.com/en/ and share this article with all your friends. We will notify you as soon as the app is ready for download! And remember; the more Yoruba speakers who sign up to our mailing list, the more useful the app will be for everyone! If you would like to write a guest post or have a new app/product/service that you think would benefit the Yoruba community please email info@culturetree.co.uk. Good Evening my Beautiful Mamas and Papas. Kudos forever to our Yoruba Mums for their undying love to us all. There’s a saying in Yoruba that “Orisha bi Iya ko si“ meaning “There’s no Deity like a Mother”. Greetings is the topic on my mind tonight. What is a Greeting? According to the Oxford Dictionary, Greeting is something that you say or do to Welcome Somebody. In Yoruba Land, Greeting is more than just welcoming someone but it is a regular way to express warm affection and respect to one another. Greeting could be between Husband and Wife, Children and Parents, Siblings, Neighbours and Friends. The Yoruba greetings mostly start with the Word “E” and examples are “E kale ” meaning “Good Evening” or “E Pele” meaning “Sorry” or “E ku Ise” The word “E” is symbolic with Respect in Addressing someone that is older than you. You must give it to my People oh as we appreciate Respect and Honour in our Culture so much. I remember with fondness the good old Holiday Memories while visiting my Grandmother in Ikorodu. The Old Woman would start praising me with our Family “Oriki” after I, Adisa had prostrated to greet her. The Word “Oriki” in Yoruba is more of Praising the Family lineage……which is another unique Custom in our Culture. On a serious note, I think this unique form of Greeting must not die as it is a significant aspect of our Culture all over Africa to express warm affection to one another. Some people reason in Yoruba Land that after God, comes your Parent!! So, won’t it be worthwhile to show some kind of respect in greeting your Parents. We owe it a duty to keep our Culture alive though our Greetings. I am Proud to be a Yoruba Grandpa and I do hope to Continue this Cultural legacy left behind by our Ancestors. Good Night Folks and God bless each Household! *If you would like to write a guest post for YorubaMums blog, please send an email to info@culturetree.co.uk with a brief summary of what you would like to write about. We Yoruba people have a saying, ‘ohun ti a nwà lo Sókótó o wa lapo Ṣòkòtò’. This means what you are looking for by travelling thousands of miles to the State (Sókótó) is actually in your trousers (Ṣòkòtò). I remember growing up, my grandmother had the most gorgeous hair and glowing skin. 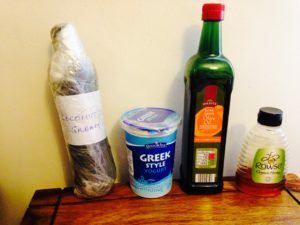 She would always ask me to ‘mo ẹsẹ’ (massage her legs) with this mixture she made herself. It was a mix of ori and Adi Agbon. As a young child I detested this task and saw it as a chore! Especially because I hated the smell of that mixture. It was only in my early twenties that I found out that the ori that I detested so much back then is actually what I was buying for £10 a tub from The Body Shop. I had no idea that ori is Shea Butter and Adi Agbon is coconut oil! I had been going to Sókótó to get what was actually in my Ṣòkòtò! I’ve decided to start this new Ṣòkòtò Tips series on YorubaMums to unearth and present to you the products from Africa that we have under our noses which are not only excellent for our body physically but also mentally. Today is all about hair and I’ll be sharing my top DIY Hair Conditioner. My hair is natural because I like the texture of it in this state but it can get very frizzy and dry! To combat this problem, here’s the DIY hair treatment I use. 1/4 teaspoons of Adi Agbon (coconut oil) for thin hair, 1/2 tsp for thicker hair. If your coconut oil is hard, go ahead and melt it down. 4. 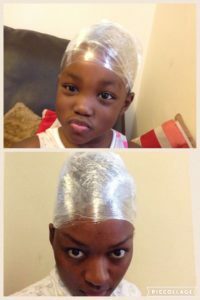 Wrap hair with cling film and leave for 20 mins – 1 hour. 5. Wash as normal, if you use a conditioner, just a small amount on the ends will do. 6. Style your beautiful soft hair as normal. 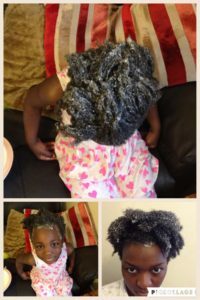 We do this this treatment once every two weeks to restore and maintain our hair. Do you have any hair tips of your own? Please share. I look forward to sharing more Ṣòkòtò Tips with you! My daughters are 3 and 1 years old. 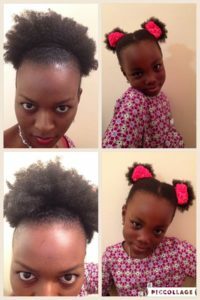 As a Mum living in London, it hasn’t been easy trying to raise them to be fluent in Yoruba because of the lack of educational materials and constant exposure, but I can offer some tips that has been helpful for me. 1. Just speak it! – My first tip is just that. Speak Yoruba to them. I started off quite well when my first daughter was still a baby but I think I started slacking when I went back to work and she started talking. She was with her Nanny who only spoke English to her all day and so she also spoke to me in English. I in turn automatically responded to her in English. One day I asked her to tell me her age in Yoruba and she had forgotten how to say it. That’s when I realised I had to go back to the drawing board. Since then I’ve made a conscious effort to speak Yoruba to her all the time. For some it may not come naturally because you’re probably more used to speaking English but the more you speak it the more natural it becomes. If you don’t speak Yoruba but want your children to speak it then I would encourage you to ask your partner to speak only Yoruba to them and also follow my Tip No 4. 2. Singing – Children absolutely love music and my girls are no exception. We have regular spontaneous and planned singing sessions. Spontaneous in the sense that we can make up songs whilst walking to and from school, on the bus or in the car. Anything could be the subject of our songs. It could be a car passing which prompts ‘Ta lo wa ninu ọkọ yen – Who is in that car’ or we see an aeroplane up in the sky and start singing our favourite song ‘Eropileni o daabo – Goodbye aeroplane’. In our car, we have Afrobeats mix CDs that we always listen to, the evergreen Ebenezer Obey CD that sadly is now scratched but I still love listening to, and many other Yoruba songs that we like. We also have planned sessions at home when we sing and dance along to our CultureTree Yoruba nursery rhymes and folk songs. 3. Bedtime Stories – I don’t read to them every night but I do try to read a Yoruba story to them at least twice a week. I bought a collection of books from Amazon that have been translated to Yoruba. I also tell them stories from memory like the Ijapa (Tortoise) folktales. Our story times are quite interactive, I ask my 3 year old questions and encourage her to reply in Yoruba, for example, after reading Adiye Handa – Handa’s Hen, I’ll ask her ‘Kini oruko Adiye Handa? – What’s the name of Handa’s Hen’; ‘Kini oruko ọrẹ re – What’s Handa’s friend’s name’ etc. It’s just a way to create dialogue and encourage her to be confident in speaking Yoruba. Make sure you choose books that you also like because you will have to read it every other night. 4. 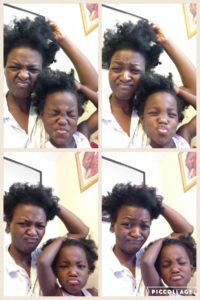 Nanny/childminder/grandparents – If your child is not yet at school or still goes to a care-giver such as a Nanny or childminder, I would encourage choosing someone who is fluent in Yoruba and can speak it to them. I have a friend who swears by this. She is even surprised at how advanced her child’s vocabulary is in Yoruba. Also, ask their grandparents who speak Yoruba to speak to them ONLY in Yoruba. This not only builds a strong bond but also means they have no alternative but to speak it if they want to communicate with their grandparents. 5. Be patient – it can be frustrating at times when it seems you’re doing all the talking or your child asks you for the umpteenth time how to say ‘I want’. Try to continue making the learning process fun and positive. Don’t make it an assignment or a task they have to complete. 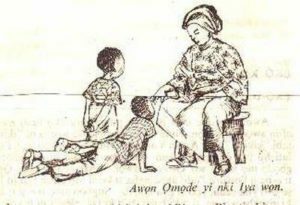 Relax and enjoy speaking to your child in Yoruba. I hope you find these tips helpful. Please do share if you have any tips of your own. What steps have you taken in teaching your child/ren Yoruba? I’d love to hear from you. Next week, I’ll be sharing tips on what to do when your child won’t speak Yoruba but responds only in English. We recently came across a website called KnowThatNanny and were so impressed with the concept that we decided it was worth sharing with everyone. KnowThatNanny is an online platform currently aimed at the Nigerian market where employers can post reviews about their current and past domestic staff and these reviews will essentially provide other employers who may want to hire those staff in future with more information and reviews about their potential staff before they are hired. Oloruntobiloba (Tobi) Onalaja is the brains behind this brilliant idea. We caught up with him and here’s what he had to say. TO: KnowThatNanny’s mission and motto is all about making a change in the community. We want to change the way Nigerians hire domestic staff, one review at a time. We created a unique centralised reviewing platform called the “Nanny Checker” which is a growing user-generated database of domestic staff and their reviews that we have made free to access to the public. Through this platform families can share experiences regarding domestic staff and help other people who might be about to potentially hire criminals. Our service aims make sure that we can praise good staff whilst also advising other people about the staff that should be avoided. While the name is KnowThatNanny, we are not restricted to Nannies alone, but every form of domestic staff such as housekeepers, drivers, cleaners, maids etc. YM: How does this site work? TO: The site is user friendly and it is very easy to read reviews and submit reviews. Let’s assume you’ve interviewed a potential staff who is called Miss Christiana Green to take care of your children while you’re at work and you seem to like her, but you want to know a bit more about her from the perspective of someone who has actually used her. However, when you ask her about her previous employers, she tells you that her previous employer travelled so she is unable to contact her. At this point, you can visit KnowThatNanny from either your mobile phone or your laptop, access our Nanny Checker and search for Christiana Green. Once you find her profile, you can read reviews left by her previous employers which will give you further information to help you make a better decision before hiring. Her profile will also give details of the agent/agency responsible for her and provide contact details for her. Along with this, if you still require additional information about Christiana Green, KnowThatNanny can act as neutral point for both the potential employer and the previous employers to freely communicate with each other without giving out any personal contact information. We have also made it very easy for former employers to leave staff reviews. Once you fill out the form and click send, our review team will verify your review to try and make sure it is true, fair and family friendly. Shortly after this is done, you will receive a confirmation email showing the status of your review and, where appropriate, asking for an upload of a picture of the staff being reviewed. Along with the review system and our unique database, we also have an integrated forum which will provide another portal whereby users can interact with each other and share different topics and opinions ranging from general parenting advice, to funny experiences that they may have. YM: Who is your target market? TO: At the moment the website is targeted at all parents and homeowners, especially mothers who play an active role in the hiring of domestic staff within their homes. We have currently launched in Nigeria, and will be taking this to more countries in the near future. We are encouraging our target audience to use the free and readily available service and to also submit reviews which will help other users in their search for domestic staff. They can review staff who are currently in their employment as well as previous staff. YM: What has the reception to the business been so far? TO: The reception to the website and the business so far has been absolutely amazing. The entire service has had so much positive feedback and that alone gives us a lot of faith and gratitude to God as we realise that the entire business will change the way we hire domestic staff for the better and potentially create a safer environment for families. When I first came up with the idea, I had so much support, not just from my family, but from everyone who used the website. Users are beginning to realise that the way we hire people that work within our homes and close to our children could be done better, and when they visit KnowThatNanny, they are amazed at the positive impact it will make in their hiring process. YM: What are your future aspirations for the business? Where do you see it in 5 years’ time? 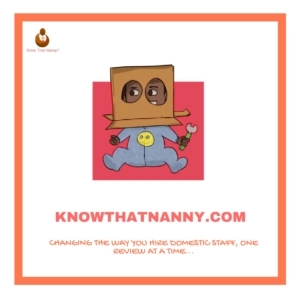 TO: We want the service we provide with KnowThatNanny to continue being free to the public, as such information should be open and readily available. At the moment the website is becoming an extra step people can take before they hire domestic staff, and in 5 years, I see it becoming a necessary step people will know they must take before letting staff work/live in their homes. Ultimately, it will become a platform which will ensure that criminals who were able to move from home to home freely committing crimes, will be unable to do so anymore. Along with this, we see the website becoming a social hub for all parents and homeowners, whereby if someone has a problem, question or even a casual story they want to share with other like-minded people, they can discuss freely and receive feedback from each other via our built in forum. YM: Finally, please share your website link and social media handles. YM: We wish KnowThatNanny all the success in the world! Some mums in the YorubaMums Facebook group have joined me in a challenge where we speak, or better yet, try to speak ONLY Yoruba to our children. No English, just Yoruba! The challenge started about 2 weeks ago and it has been hard. From conversations with my fellow challengers, there has been many slip-ups but what we always try to do is repeat what we’ve said in English again in Yoruba. I met up with a friend of mine from Gambia to ask for some tips. She speaks 6, yes SIX languages fluently and her 3 year old son is fully bilingual in Fula and English. Watch the video below to hear my brief chat with her. I hope it helps other parents trying to pass on their language to their children. As she said, consistency is key! PS. Dads, e ma binu, abeg no vex ehn! You are also very important and also play your part in passing on our culture and language, but in most cases (not all) you know we Mums spend more time with the children so they learn more from us. We will have something for you very soon too. Thank you for your support!